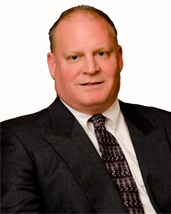 Mike Schwartz is a Mortgage Loan Officer with over 28 years in the mortgage industry. Mike will use a combination of first and second mortgage products (if needed) to get the best deal for his customer. Mike worked at Guardian Credit Union from 1996 to 2003. He joined John Scaffidi and Complete Mortgage in 2003 and was there until May 2010 when they merged with Mortgage Services III, LLC. Mike prides himself in the fact he has one of the top pull through lock percentages not only in the company but industry wide. Mike has a B.B.A. in Finance from UW-Whitewater in 1984. Mike is a member of the Delafield BNI group where he has been involved for the last 6+ years. Mike is married to Heidi and they have two daughters Noelle (13) and Allison (11). He enjoys camping; coaching his kids and watching them participate in numerous sports. He loves to watch the Green Bay Packers, Brewers, Whitewater and almost any NCAA basketball game he can watch.